Imagination. That’s the only limit holding anyone back in Dreams. At PSX this last weekend, I sat down with the developers so they could show me vivid detail the game that they’ve been hard at work on creating, and yet calling it a game feels a bit disingenuous to the experience of inherent creation that comes along with it. It’s been two years since I last saw Dreams first-hand. You can imagine that if I was excited then, I’m over the moon now with everything that they had to show. They are working on a campaign for Dreams, but the entire campaign–everything from level design, to character creation, to AI systems and logic, to music–is being designed with a DualShock 4 using the tools available in the game, exactly as creators will be doing once it’s available to the public. That’s the biggest takeaway that Media Molecule wants to get across with Dreams. It isn’t just about creating. There’s a significant campaign there in the form of three dreams that each have separate styles–both in terms of visuals and how they play–weaving together to build one engaging story. In addition, there will be a massive online library of user-generated content to play in Dreams. If you have no desire to touch the create portion of the game yourself, that’s fine. Dreams offers something for everyone. One of the dreams is a point-and-click style adventure. The tools will let you create any kind of game you’d like. I don’t see Dreams as a game as much as a set of tools, a platform, and a community. Jumping into the create mode, they first showed a wealth of options across all of the menus. Where I often found LittleBigPlanet intimidating when had to start from scratch, Dreams has base options and suggestions for players. You don’t have to create an entire game or level. You could just work on character design or AI logic. You could design level assets or compose pieces of music. You can even compose sounds and custom instruments to be used in others’ music. In addition to the suite of tools and assets that Media Molecule is providing, the community will be able to upload individual bits and pieces of things they create that then become available for everyone else. Using the DualShock 4 controller for everything in the game looks simple. The developers at Media Molecule were quick to navigate menus, build new things, and swap between create and play to test their creation. They created animations, enemies, world hazards and crazy platforms all within the space of a couple of minutes. It would have been faster had my overactive imagination not interrupted them constantly to ask about the possibilities. Can you set a proximity trigger for the animation on an object? Can you customize character attack animations? Is it possible to– I’m going to stop myself there. The answer is yes. The ability is there. It is possible. Yes you can. That’s the answer to virtually any question you could ask about Dreams. Yes you can. There’s the ability to create characters, their attacks and movements, environments–literally every aspect of developing a game. I had one hour with the Dreams team and that was not enough. I could have spent the entire show in that one room alone, asking questions and becoming familiar with all of the tools available. In fact, a number of times I found myself stopping by the public Dreams stage just to watch as different members of the studio crafted new levels, characters, music, and mechanics. There’s a physics engine that can control object physics. There’s a logic engine that can be used to set up nearly any kind of “if this, then that” switch. There’s the ability to completely craft a game or even just a piece of a game, whether that’s visual assets, audio, AI systems, or anything in between. 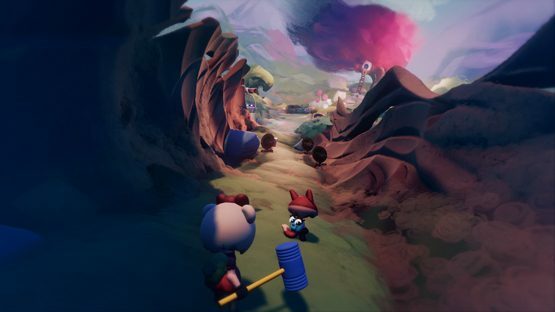 Media Molecule has crafted a suite of game development tools that they will be putting in the hands of PS4 players. 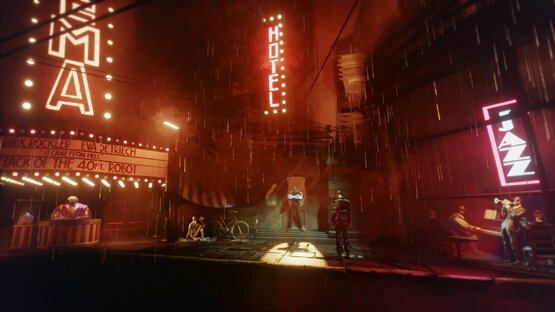 I can’t stress enough that Dreams has the unlimited potential to be a platform within a platform, a place on the PS4 where people can go to create, collaborate, share, and play a host of unique experiences. If that’s not enough, the real icing on the cake was the full confirmation of PSVR support for Dreams. While the idea had been kicked around before, it wasn’t clear in exactly what capacity that support would be coming. It won’t be available on day one, but soon after release we’ll be able to create in virtual reality, as well as play other creators’ virtual reality experiences. They almost seem more excited to put the Dreams in the players’ hands than to create stuff themselves. 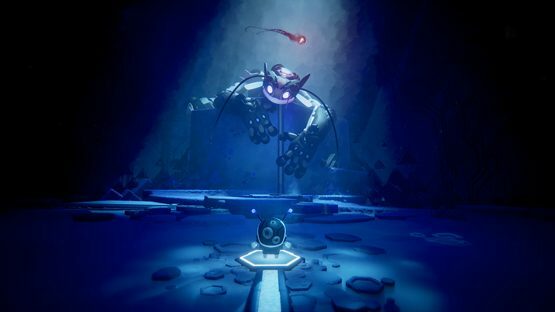 If Dreams attracts even a fraction of the creative users that LittleBigPlanet had, then we’re in for some quite incredible an unexpected treats (and my money’s on this one far exceeding even the success of the LittleBigPlanet franchise). LBP was chock full of limitations that creators learned how to work around as they made some things that I never thought would have been possible using that platform. Handing that same community an untethered game development suite, complete with the ability to drill down, collaborate, and form social communities? I’m eager to see what fruits come of that. What Dreams can do is limited only by your imagination, and will support PSVR creation and play shortly after launch. It’s impossible to fully explain just how big Dreams is, and how it is simply bursting at the seams with potential. While it may just look like a game, it could very possibly be the last game you’ll ever need. Whether you’re a creator, a player, or some blend of the two, anyone who gets a glimpse at Dreams will have to acknowledge that it lives up to the unlimited potential of its name. It’s a door that has limitless possibilities waiting just on the other side. Once you open that door, something becomes clear about Dreams, as impossible as it may seem: It’s bigger on the inside.